Beyond our mind, beyond the verbal, analytical part of our brain–there is joy. And peace. Strength. A vibrant, illuminated soul. Clear the path, clear the way, let the light shine. We can move beyond our thoughts–especially our lizard brain. The verbal, analytical part of our brain processes 40 bits of information per second. Very impressive! The non-verbal part of our brain processes 11 MILLION BITS of information per second. Booyah. I do daily, minute-by-minute thought clearing. What thoughts aren’t serving me? Label: worrying. Gotcha! Another one? Label: the “I’m not good enough” top tune. Spotted you! What else? Label: the “if I keep following my dream and living my passion I’ll end up broke” mantra. Oh, really? Is that true? Evidence says otherwise. 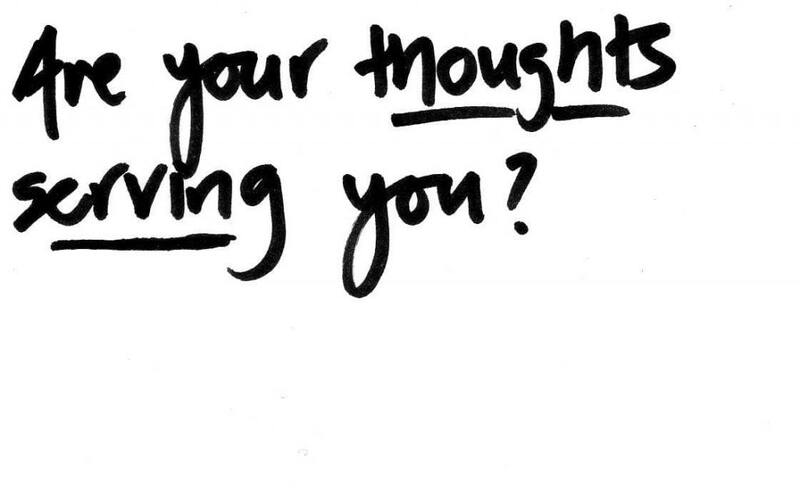 Watch your thoughts. Which ones are coming from the over-reactive amygdala (aka lizard brain). Which ones are NOT serving you? Fears, doubts, insecurities. Meet them with compassion and love. Thank them for their care and concern. And then question their validity until their ambiguity is revealed. Try Byron Katie’s The Work: turn the limiting thought around to it’s opposite; then look for three examples that prove this opposite is true. Join the conversation by answering this question on your Facebook page (feel free to tag me @lindseyonline), in the comments below, or on your own blog. Just link back here to keep the connection. Thank you for this! I love your writing and your awesome insights. I strive to make sure that my thoughts are serving me, most of the time. Of course, the other kind creep in sometimes. That’s why I love reminders like this one. Byron Katie is another great source of inspiration, thanks for that reminder as well! Just stumbled across your writing at dailycupofyoga. I love your writing style, topics you choose and content! Thanks for sharing your insight! Have been looking for a blog holding similar interests to mine! let me know Techniques to come over the fear of facing public talk/presentation skills. Every time when I try I go hot and cold and my mind occupied with negative thoughts and fear.